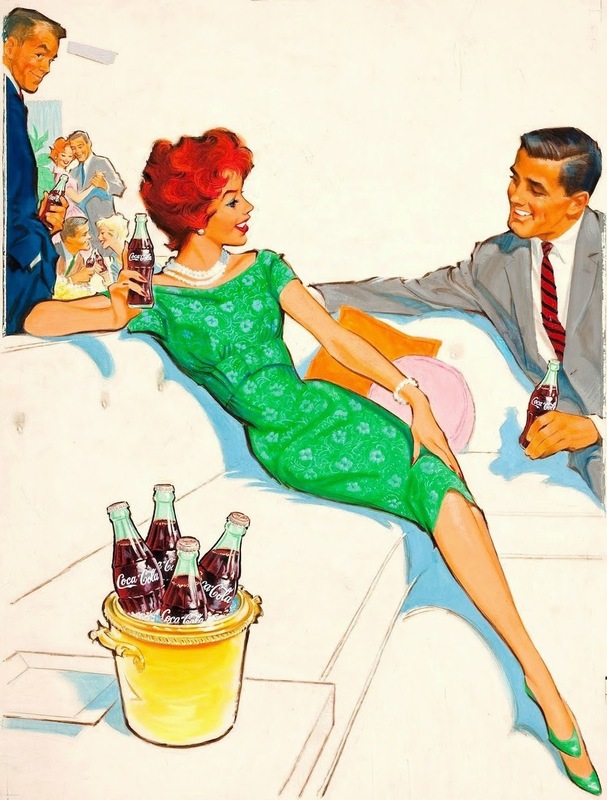 I came across a few vintage Pete Hawley drawings for Coke. Here is the first one. Look how fabulous that green dress is on that pretty girl. Again I wonder, why don't products use great art work anymore. When was the last time you saw an ad in a magazine that really caught your attention? No one uses artist drawings to sell their product anymore. It is truly a lost art. I agree, I really miss the ads that were drawn.